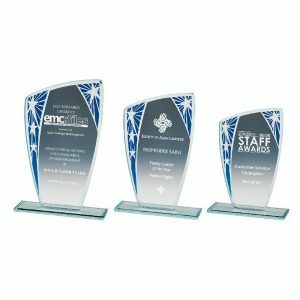 Make sure your staff members know how much their hard work means to you by presenting them with stunning employee awards from our extensive selection. 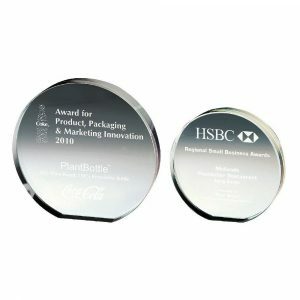 You’ll find an array of fabulous products to choose from, all of which can be engraved to give them the personal touch and to include your company’s branding. 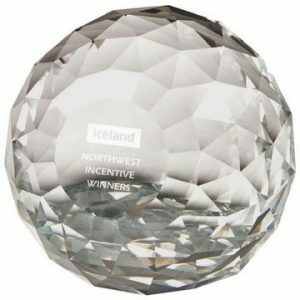 We all love to know that we’re valued in the workplace – and being rewarded for our efforts can boost our self-esteem. 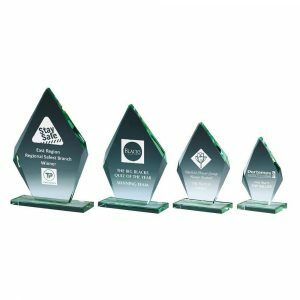 That means that not only can giving your staff glittering trophies to celebrate their successes motivate them to perform to the highest standards, it can also help to keep morale within your company high. 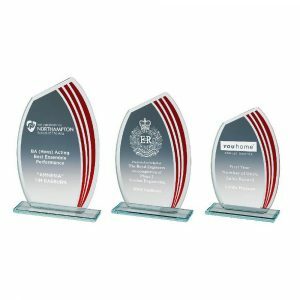 Whether you’re looking for a long service award to thank a staff member for their loyalty, trophies for an employee of the month programme, or a host of mementos to present at your firm’s next annual awards ceremony, you’ve come to the right place. 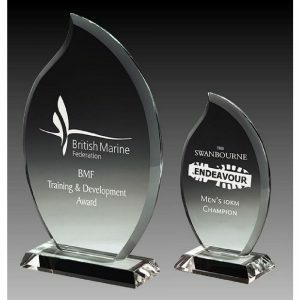 Our collection includes items to suit every budget and you’ll be able to choose from a wide range of designs. 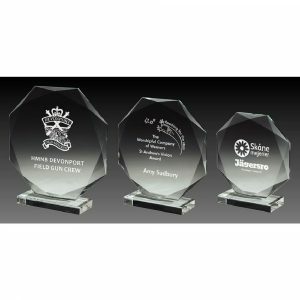 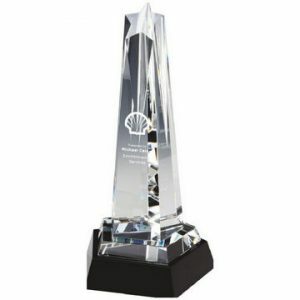 Our online store includes products crafted from many materials, including elegant glass, appealingly tinted jade glass and exquisite crystal, and we offer awards on stands, paperweights and stylish wall plaques. 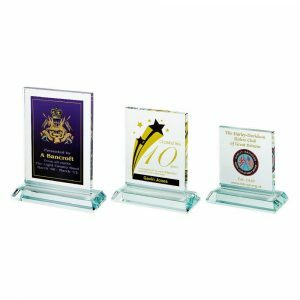 You can opt to purchase beautiful blocks, circular pieces, shields and even trophies in the shape of stars, all in an impressive selection of sizes. 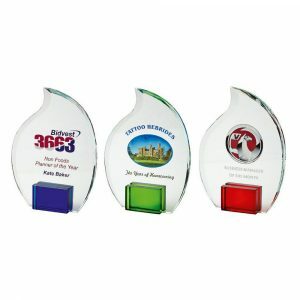 In fact, we have so many products available that you’ll be spoilt for choice. 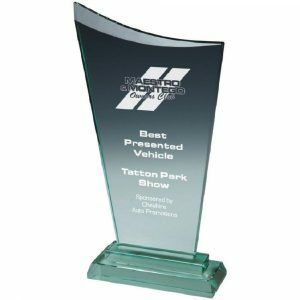 Once you’ve decided which items you want to buy, personalising them is simple: just take advantage of our in-house engraving service. 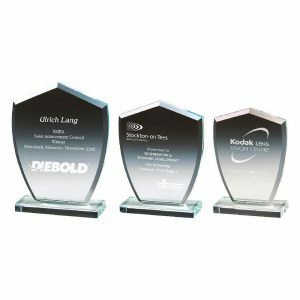 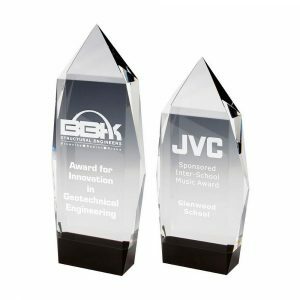 Depending on the style of award you choose, our experts can add the winner’s details, the presentation date, or even an eye-catching colour print of your company’s logo to give it extra flair. 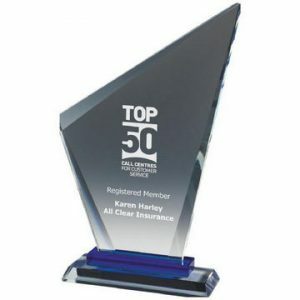 We know how much employers and managers have on their plates, so we’ve made our online ordering process as simple as possible. 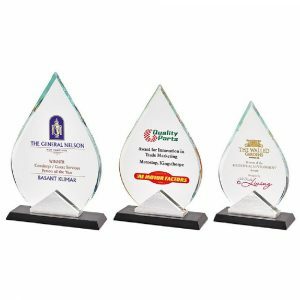 Therefore, when you choose us as your corporate awards’ supplier, you can buy first-class products with the minimum of fuss and we’ll fulfil your order speedily. 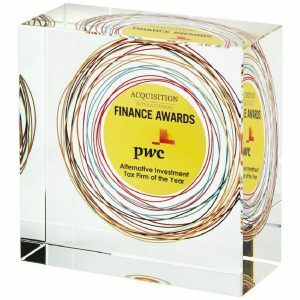 If you do have any questions, however, we’re on hand to help: just call us on 020 8722 0250 and speak to a member of our friendly team.